Medial tibial stress syndrome ( MTSS) also commonly knows as “shin splints” and as medial tibial traction periostisis is a very common overuse injury. With MTSS the athlete presents with pain along middle or lower half of the posteriormedial border of the tibia during loading activities such as running, walking, and jumping (2,3,4). Shin splints make up 60% of all lower leg injuries in all athletes, 4% to 20% in military personnel, and 9.5% specifically to runners (5). Garnock et al, explained that MTSS recovery times can range anywhere from 4 weeks up until 18 weeks with a reoccurrence rate of 20-30x in those individuals who with a history of MTSS compared to those without a history (4). Unfortunately, for those athletes experiencing this injury ceasing training is recommended especially if their pain surpasses a level 4 on a 10 point pains scale (5). For many years now, researchers and clinicians have attempted to find a definitive cause to MTSS as well as the best course of treatment but have fallen short. What Exactly Is Shin Splints? The exact cause of shin splints has still not been validated but theories have been proposed to explain its development. 2. Tractioning/separation of the tibial periosteum (connective tissue that covers the tibial bone). Essentially both theories lead to the belief that there is an irritation of the connective tissue of the muscles that attach to the posterior medial surface of the tibial bone. This connective tissue gets stressed from repetitive stretching and insesant pulling from over activation of the surrounding muscles. In the first theory, researchers propose that excessive rearfoot (heel) eversion leads to increase bowing at the middle section of the medial tibial bone leading to bone micro trauma. However, this cannot be completely supported because there have been positive links between MTSS and increases in both pronation and supination of the midfoot, What this does demonstrate is that there is in fact a mechanical component to MTSS (1,6). 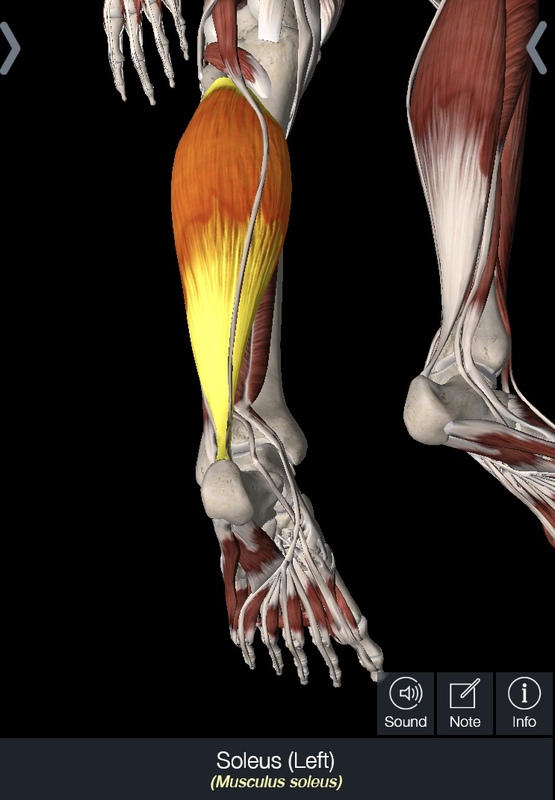 In regards to the second theory, there has been a research shift as to what muscle exactly leads to the shin splints. Some researchers propose that the main culprit to MTSS has been the posterior tibialis muscle which leads to mechanical faults and increase stress at the tibial bone. However, more recent research is demonstrating that the soleus muscle and the flexor digitorum longus (FDL) are the muscles that clinicians need to focus on (1,3,4,6,10) . Studies have demonstrated that subjects with MTSS demonstrate increase work in the soles muscle vs the posterior tibialis. This had lead researchers to hypothesize that maybe the soleus overworking leads to an increase in traction of the underlying fascia and this increases passive tension of the FDL myofascia which attaches at the most common site of pain in MTSS subjects (2). Even though the exact cause of shin splints is unknown there have been several studies that have been able to demonstrate who may be at risk to developing MTSS (3,4, 9,11). 1. Females: more common in females in all studies. 4. Previous History of MTSS – in large a good clinical risk factor, are 18-20x more likely to demonstrates reoccurrence of MTSS. 5. Greater Hip External Rotation: Theory that it may produce a different running style/mechanics that increases load on the tibia or muscles that attach to posteriolateral tibia. Lets be clear, if this was easy to treat and understand by now there would be a clearer reason for etiology and less cases of shin splints. But there is not, the cause of MTSS is still unclear which in turns makes it difficulty to treat. If you take it back to the basics, it essence it is an irritation of a tissue structure, so therefore decrease activity and rest becomes imperative especially for those with higher pain scores and acuteness. More recent research has looked at the use of modalities to help with pain and function. Gomez et al. found that the use of a single shockwave therapy session in conjunction with strengthening and stretching of the lower leg muscles for 4 weeks resulted in improved running times by 17 minutes vs. just the exercise group. However another study by Newman et al found that shockwave therapy didn’t statistically help with MTSS. Shulze et al. approached treatment manually with fascial release via strong focal pressure, pressure was reduced when the patient reported no pain with the pressure. After doing this on 32 patients he found 53% of patients were pain free after treatment, and 19% could run more without pain. The limitation of this study however is that it is unknown what happened long term. As a clinician, I do think the best course of treatment is always going to be looking at the big picture. We have to ask ourselves: What does your movement /running gait look like? How strong do you test in all the muscles from the hips down? Is your foot absorbing load effectively and optimally? Are there any muscle or joint restrictions in the lower quarter? When you put that all together and find the biggest deficits it may be easier to treat the whole lower quarter system and reduce any compensation and deviations. Icing , taping, rest will all help calm down the symptoms, but at the end of the day there is a weak link that needs to be discovered and optimized. Summary: there are many common risk factors, but each person experiencing medial tibial stress syndrome may demonstrate a slight variation. Therefore, I highly recommend that you visit your local movement expert, a licensed physical therapist. They will be able to analyze your movements and search for any impairments that you may present with. TRAIN SMART, STAY HEALTHY, AND STAY ACTIVE. 7. Schulze C Finze S, Bader S, Lison A. Treatment of Medial Tibial Stress Syndrome Accordingo to the Fascial Distorsion Model: A Prospective Case Control Study. The Scientific World Journal. 2014. 9. Reshef N, Guelich DR. Medial Tibial Stress Syndrome. Clinic In Sports Medicine. 2011. 31:2 p. 273-290. 11. Reinking MF, Austin TM, Richter RR, Krieger MM. Medial Tibial Stress Syndrome in Active Individuals: A Systematic Review and Meta-Analysis of Risk Factors. Journal of Sports Health. 2016. 9(3).